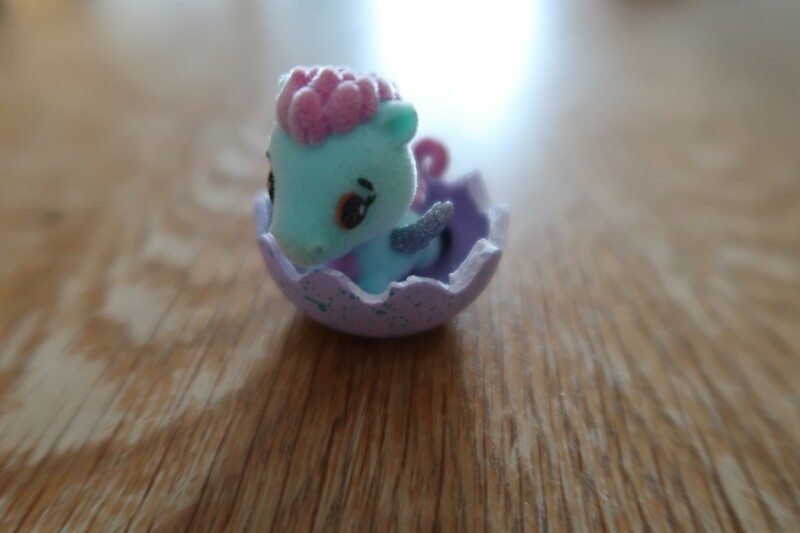 Remember just before Christmas, there was that craze that was Hatchimals? Well they are back, don’t worry you aren’t going to have to sell your kidney to get one! 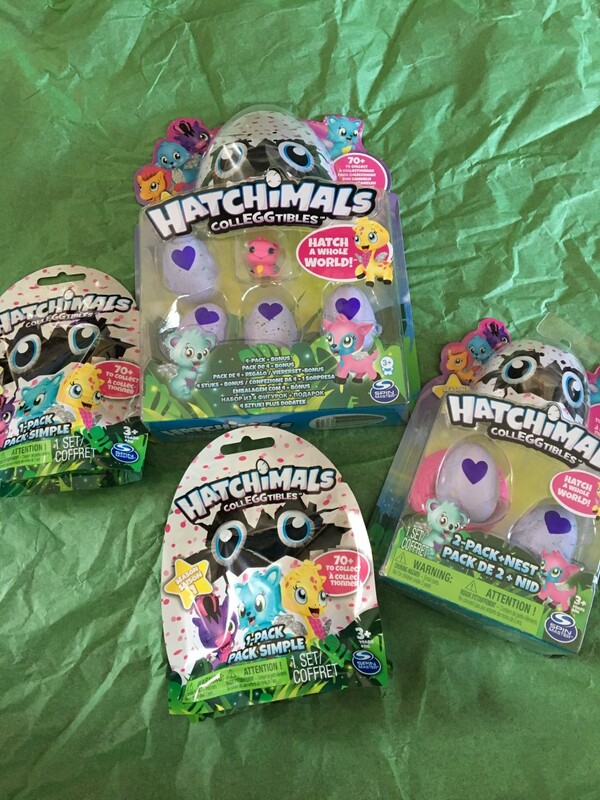 Now there is the super cute Spinmaster Hatchimals CollEGGtibles. There are plenty to go around and they are a great price, small, super cute and highly collEGGtible. 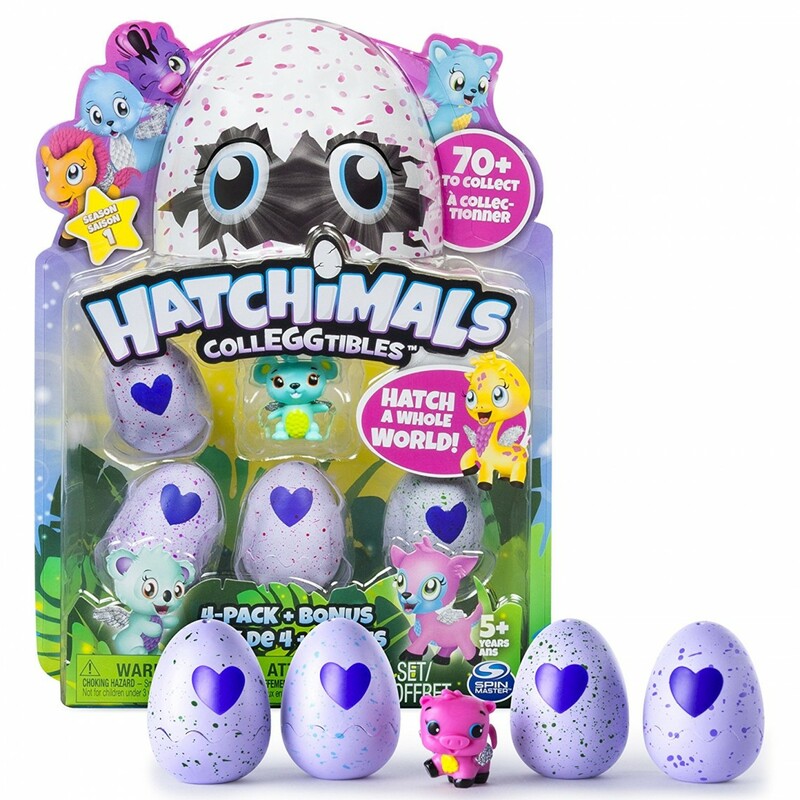 Hatchimals CollEGGtibles are adorable collectible Hatchimals that are like little blind bags that come in the form of small, speckled eggs. There are various different colours of speckled eggs, each come from a different family of Colleggtibles. Each Hatchimals CollEGGtible needs your help to hatch, but you don’t have to wait as long this time. 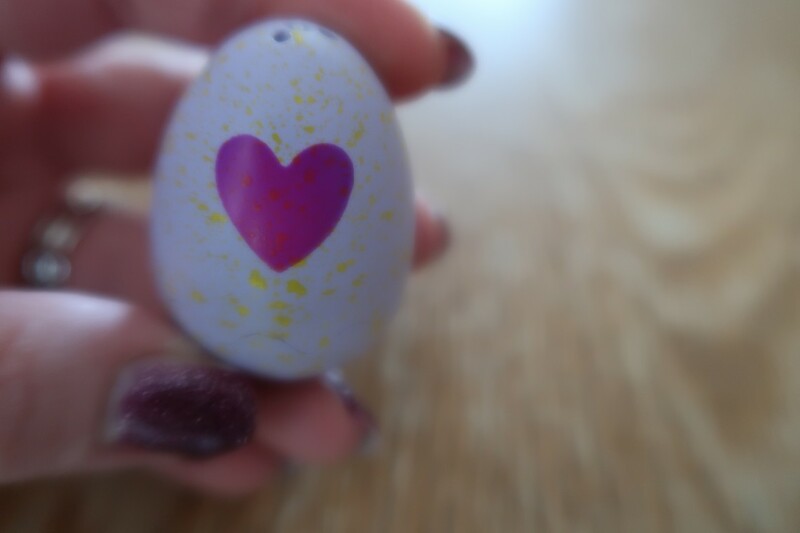 To hatch your egg hold the egg in your hand, rub the heart with your thumb or hand, make a little wish and give it a kiss, both optional, and when it changes from purple to pink, it’s ready to hatch. 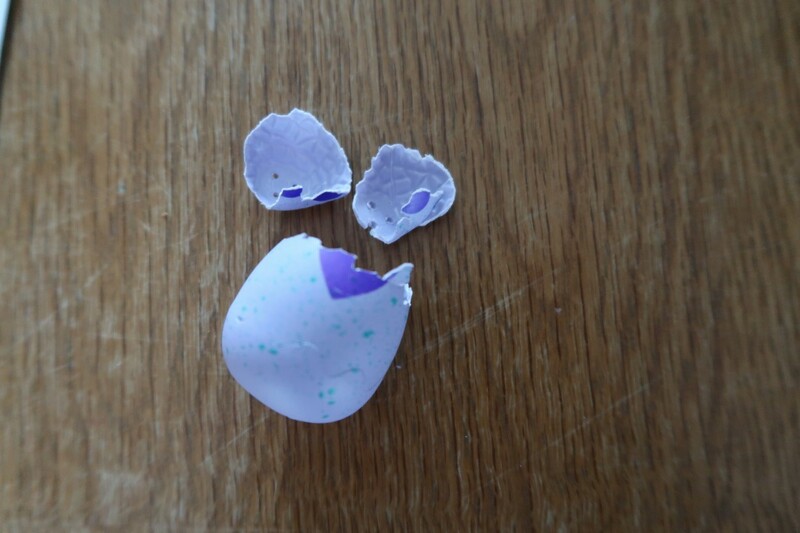 Press on the egg with your thumbs and crack it to discover which Hatchimal CollEGGtible you hatch. 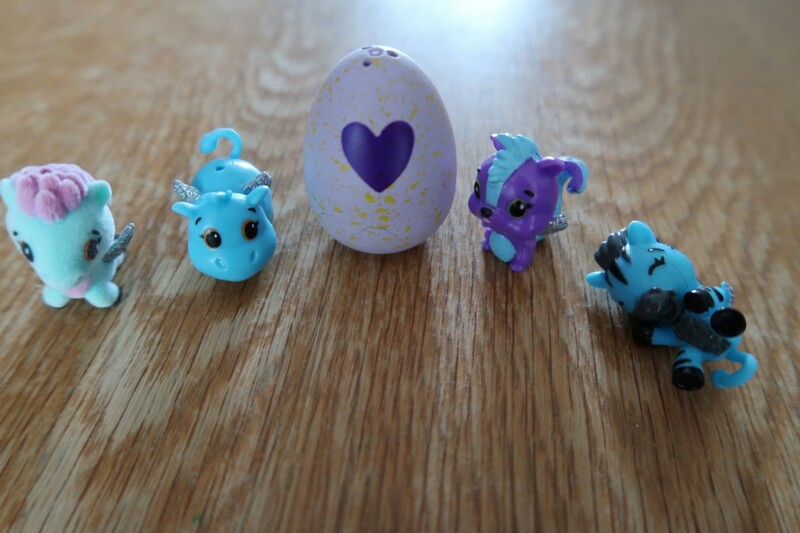 Based on the colour of the speckled egg prior to you opening, determines which family your little Hatchimal CollEGGtible comes from. This is great that you can tell before you hatch. You can’t determine which one in the family they are, but you can at least narrow it down. Great for those who want to collect a certain family. Meet your little CollEGGtible. The eggs themselves are sturdy, but not too sturdy that you can’t break them easily. Within the egg there is a little plastic protective cup to stop them being getting burst open and squished. Of they can be used for little houses for your new little Colleggtibles as my little one did. 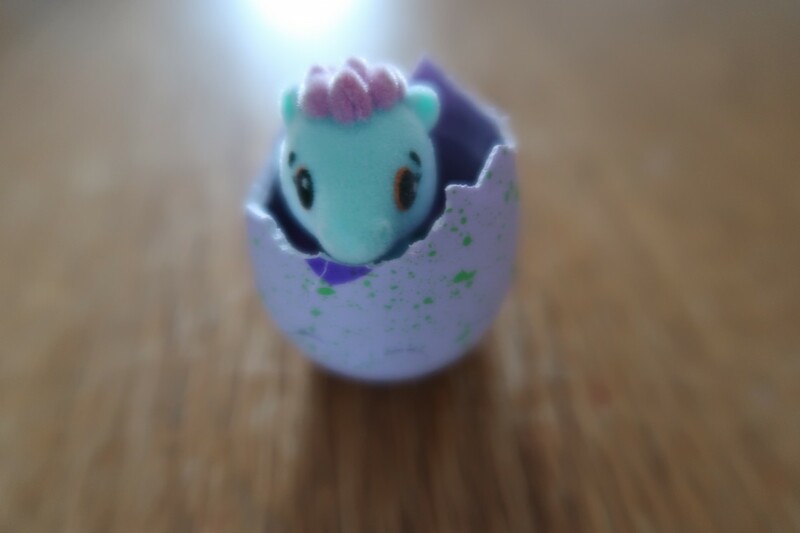 Meet our freshly hatched Hatchimals CollEGGtible, this is our fluffy, cute little horsey from “Cloud Clove” and is a Limited Edition. She is super cute and had adorable glittery wings. As you can see there are over 70 to collect in Season One. 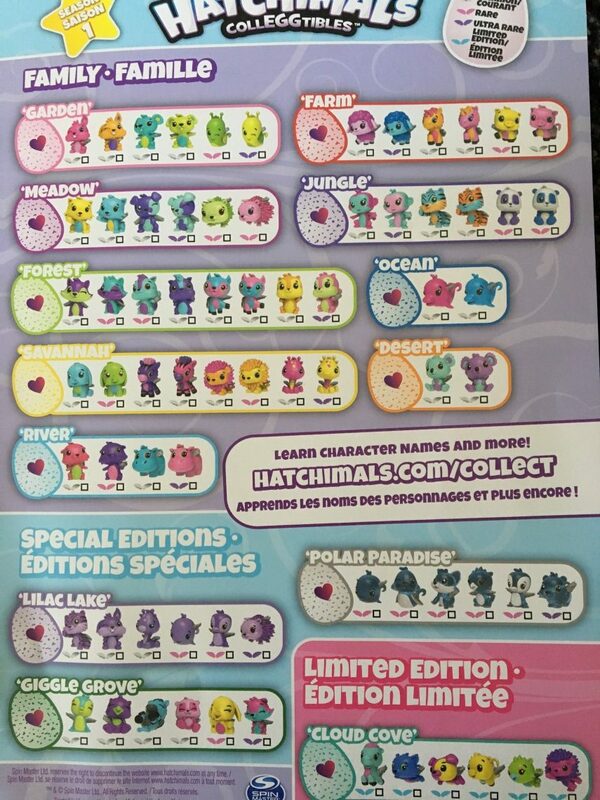 There are some ultra-rare and special edition Hatchimals CollEGGtibles to find. We love the collector’s checklist and map to keep track of your collection and discover more about Hatchtopia and Hatch a Whole World. On the other side o the checklist is a map of Hatchtopia where the coolest CollEGGtibles hang out. 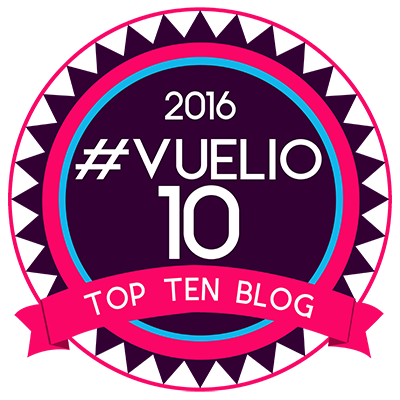 There is Giggle Grove, Lilac Lake, Fabula Forest and more. You can download your own from the Spinmaster Hatchimals CollEGGtibles website. The blind bags are pretty quirky, they are blind bags within a blind bag. Keeping your Hatchimal CollEGGtibles an extra secret. The kids found these a lot of fun, but couldn’t guess which ones they were going to hatch. The blind bags contain one Hatchimal CollEGGtible egg per bag. We also got a Hatchimals CollEGGtibles 2 pack and nest. Within this pack there are two eggs. Both of which you can see the colour of the speckles and it narrows it down to which ones you’ll hatch. 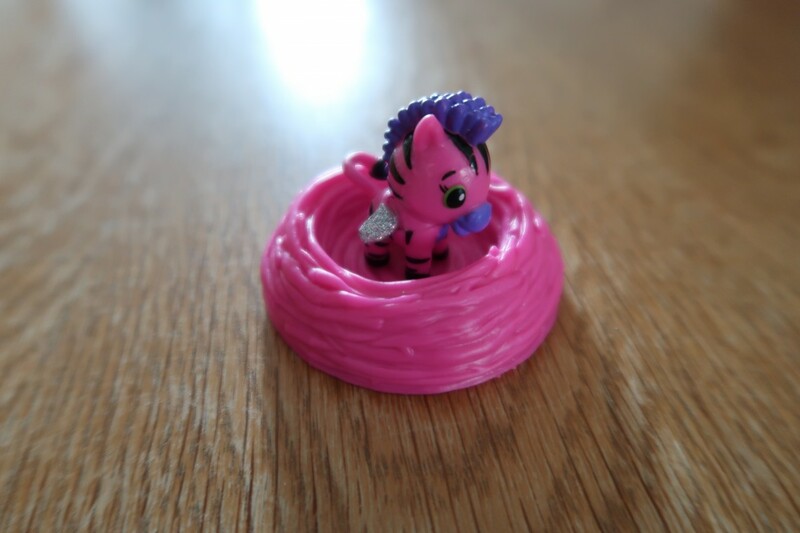 With a cute little pink nest for the CollEGGtible to live in. 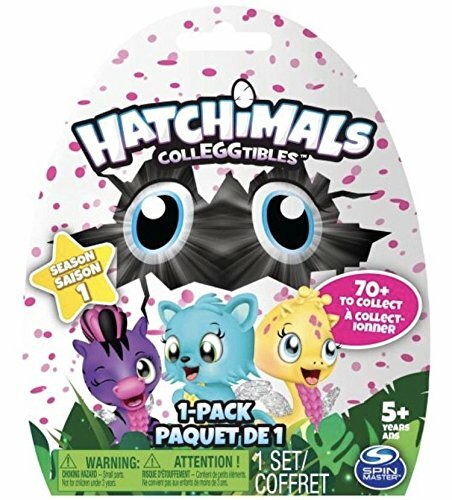 There is also the fantastic value for money Hatchimals CollEGGtibles 4 pack and bonus character. The contains 4 eggs each with speckles for guessing and hatching and then a bonus character you can see right out the pack. We got the adorable little piggy. Anyone that remembers how much Tyler loved pigs. The egg are good quality. The top half is quite soft for easy breaking and for those that don’t want to rub, nurture and wait until your CollEGGtible is ready, you can just open it. The bottom half of the egg if you can see in the photo above has the wavy lines which breaks off easily and can be used as a little nest for your Hatchimals CollEGGtibles to live in. Just look how adorable these little creatures are. They are made of hard plastic with the wings and tails being a little more flexible. We got various different ones from different families. We ticked them off on our sheet ready for next time the kids have some pocket money to spend. 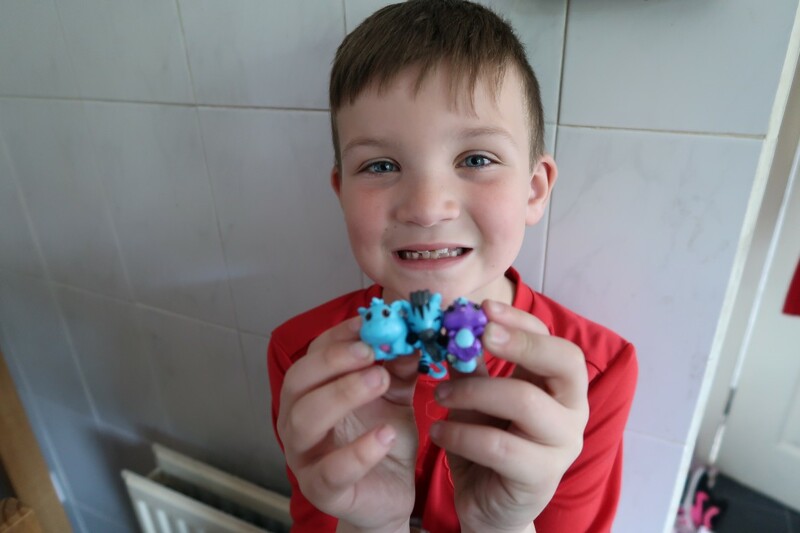 One of the things we loved about the Hatchimals CollEGGtibles is that they are great for both boys and girls. My little boy Tyler loved them. He will spend hours playing with tiny little collectable figures, so these were right up his street. 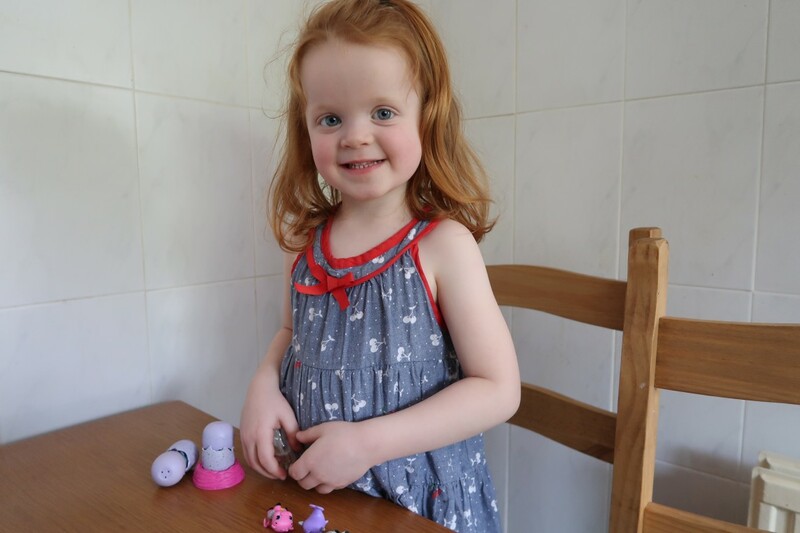 With the added excitement of hatching, these are great toys. The nest is a great little addition and perfect for your little CollEGGtible to live in. This particular one is Aria’s favourite. She adores him. I love the fact that they come from different families and you can learn about the different places they come from, but I think it would have been nice to have names too. I know it leaves something to the children’s imagination and the role playing side of things, but it would be nice. All three kids had a lot of fun playing with these. And we even got a doubler, great for when trading with your friends. You could even trade eggs if they have the multipack and you could swap the family for which one you would like. That is the great thing about the different coloured speckles, you can at least narrow it down. Aria made little houses for them from the packaging. She had a great time and plays with hers everyday. 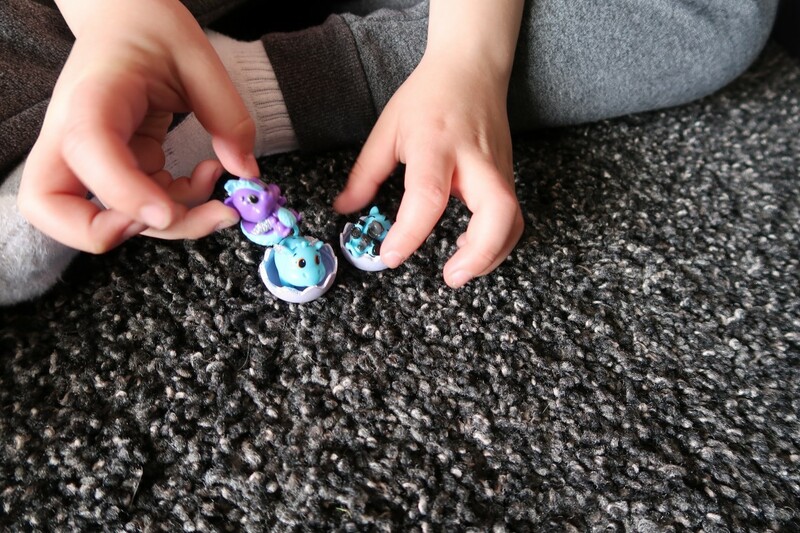 The Hatchimals CollEGGtibles are great for encouraging imaginative play. Give them names, keep them in their little families, make their natural habitats like in the map or just play little games with them. All three of my children played with them for hours and a huge plus point no batteries needed. Watch our video above of us opening a blind pack, a 4 pack plus bonus figure and a 2 pack plus nest. We loved these and were so excited to see which little CollEGGtibles we got. Just look at their wee faces to see how much we loved these. I think these are a great little pocket money toy in the form of the blind packs and the other packs make great gifts or something for the kids to save up for. The price is great, there are no batteries, the eggs can be used as little houses for your figures, they are collectible and look great. I think these will be a huge hit, the fun of opening and meeting your new wee friend and the cost will be a huge plus point. 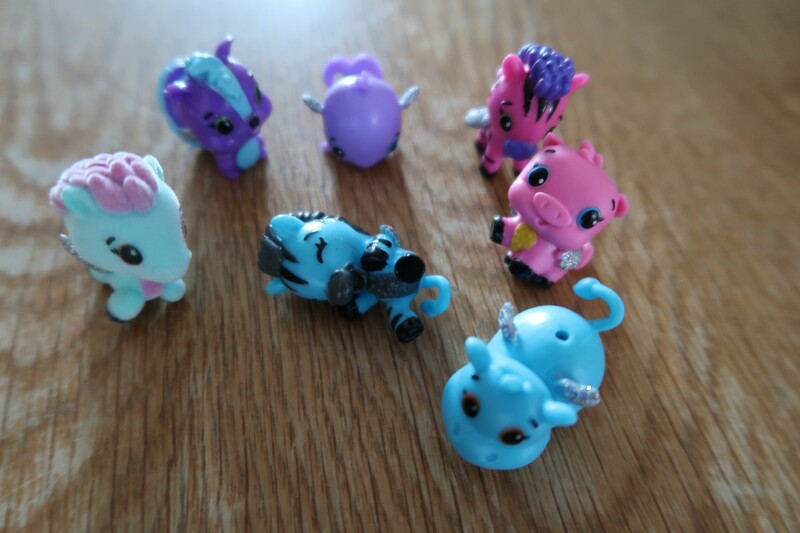 Kids love these little figures and can trade them with their friends. My children can take them to their grandparents house and they can come out and about on our travels. Huge thumbs up from me. Hatchimals CollEGGtibles are available to buy from today 1st May, in Single Blind Bags RRP £1.99, 2-Pack With Nest RRP £4.99, and 4-Pack With Bonus Character RRP £9.99. From most toystores. Find out stockists and more on the Hatchimals website. 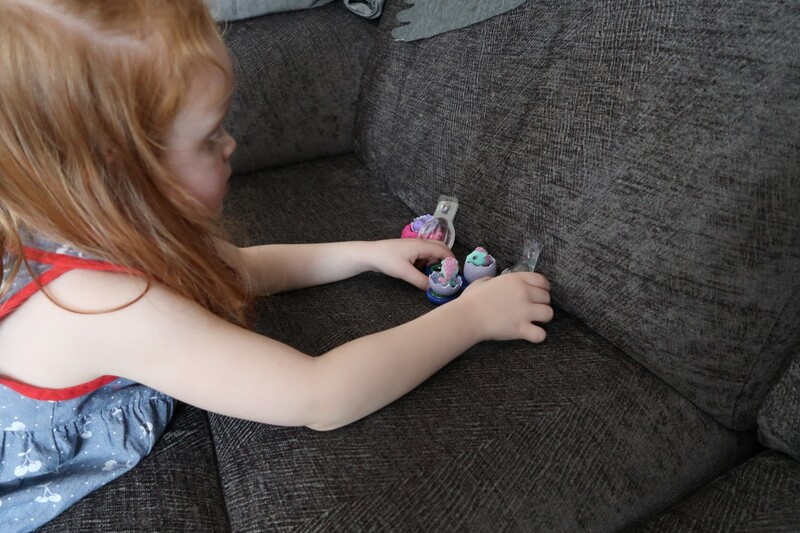 Disclaimer:- We were sent our Hatchimals CollEGGtibles for review, but all thoughts and opinions are my own. Specky Four Eyes - Are Glasses Cool? Z would love these. His chick hatched at school and he’s been so fascinated ever since with things that come out of eggs. I might look at these for him! Hi. My daughter and I love these. We are at a point that we are now getting duplicates. There are people on ebay that are selling them without opening the egg, but they already know what is inside. I asked and they only revealed that they can tell by the code on the bottom of the egg. Does anyone have a code breaking list. I don’t mind buying the duplicates, if I don’t have to open them. I was thinking about using the unopened ones for special prizes in an Easter Egg Hunt. hi! These are awesome! I love how tiny they are- able to be taken on trips and such 🙂 They are so cute! They are a great size to make them portable.